Time is passing so rapidly and shopping at my house is not keeping up, so we thought we would pass along some stocking stuffer and gift ideas for your stitching pleasure. Here are some things to add to your Wish List. Lavishea Lotion Bars – 4 different fragrances – Lavender; Pear; White Lily & Amber; Ginger Blossom. These lotion bars can be used to soften your hands like regular lotion but you can stitch immediately after using it because it’s not greasy. Platinum Needles - Great for those of you with metal allergies or those who love special needles. 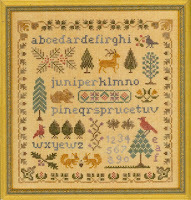 Don’t forget the new Shepherd’s Bush kits – Wish Stocking, Jolly Stocking and Merry Christmas. 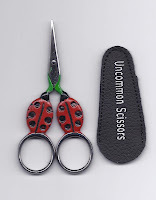 We have several new scissor styles as you can see pictured here. 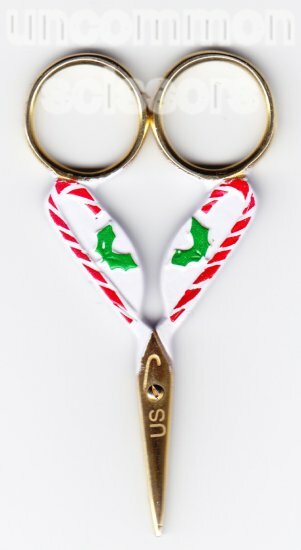 While the candy cane are season appropriate, I think the ladybugs are too cute. To add to a more formal stitching collection, you may choose the pineapple or acorn. You can never have too many scissors. Gift Certificates are always available in the denomination of your choice. 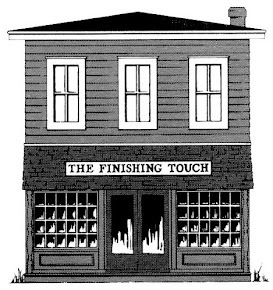 Almost nothing beats a gift certificate! 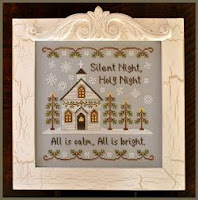 Either new to us or new to the market this week, we have SILENT NIGHT from Country Cottage. Just stitching this design might provide a calming effect. 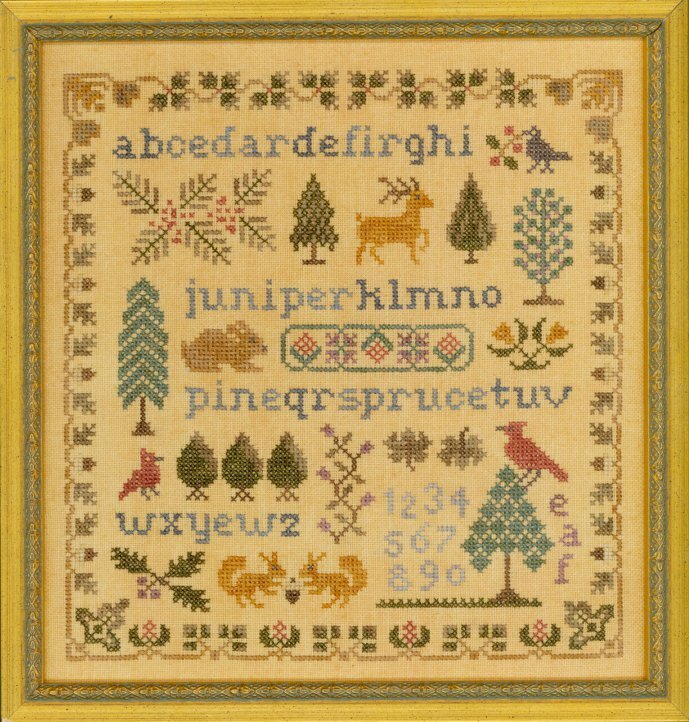 Elizabeth Designs has ANTIQUE EVERGREEN SAMPLER, beautifully done sampler featuring many animals in addition to the highlighted evergreens. 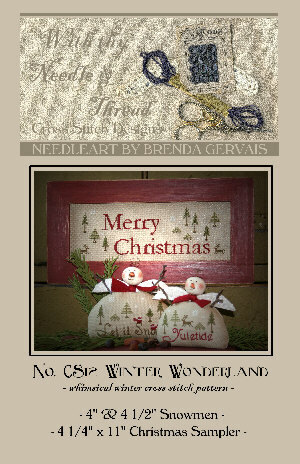 WINTER WONDERLAND, a Country Stitches – With thy Needle & Thread design, gives you two darling snow angels in addition to the primary Merry Christmas design. What a treat! Just a reminder about our Christmas Open House Saturday, December 8, from 10 until 2 and Sunday, December 9, from 1 until 4. Hope to see you there.